Senior lawyer Rajeev Dhavan on Friday forwarded a plea in the Supreme Court asking a three-judge bench headed by CJI Dipak Misra to refer the sensitive Ayodhya land dispute case to a larger panel. The plea argued issues like polygamy and nikah halala, nikah mutah were not as important as the Ayodhya cases. Supreme court has fixed July 13 as next date of hearing in the Babri Masjid-Ram Temple land dispute case. In a major development in the Ayodhya land dispute case, the Muslim bodies have united to tell the Supreme Court of India that the persisting case which has for years been used to garner political mileage in Uttar Pradesh was far more important than polygamy in Muslims. 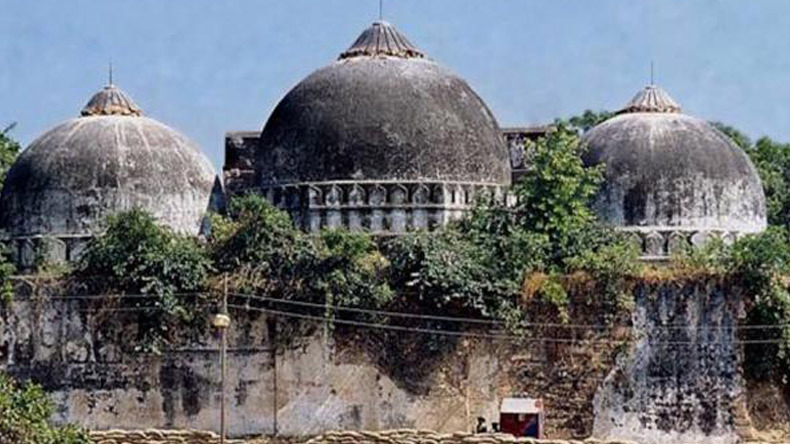 In a plea filed by the representing lawyer of a Muslim party, the Supreme Court has been requested to refer the Ayodhya case to a larger panel as it required more attention that the polygamy case which has been referred to a Constitution bench. Senior advocate Rajeev Dhavan, the lawyer appearing for a Muslim party forwarded the plea before a bench headed by Chief Justice Dipak Misra. The bench adjudged that it will take a decision in the matter whether to send the case to a larger bench or not, after hearing all parties litigation. Were Polygamy a practice of having two or more wives or husbands, nikah halala, nikah mutah and nikah misyar more important than Ayodhya, the SC was questioned. “If the court has one criteria on the importance of an issue to be referred to the constitution bench, then why not same criteria for this (Ayodhya) issue”, Dhavan told the bench pointing out that Ayodhya is “the most important issue facing Indian secularism than polygamy and nikah halala”. I want to know, they (pointing to media) want to know, people want to know. Let this court say that this matter is not sufficiently important than polygamy and nikah halala,” Dhavan added and was interrupted by senior counsel K Parasaran who objected to the manner in which Dhavan was addressing the court proceeding. The last hearing in the case was held on March 23 and April 27 has been decided as the next date of hearing in the sensitive case. Earlier the Allahabad High Court in a ruling had declared division of land between three parties. The Supreme Court this year had also ditched the hopes of some activists who tried to intervene in the case. The court said that only the parties involved in the land dispute can make arguments.